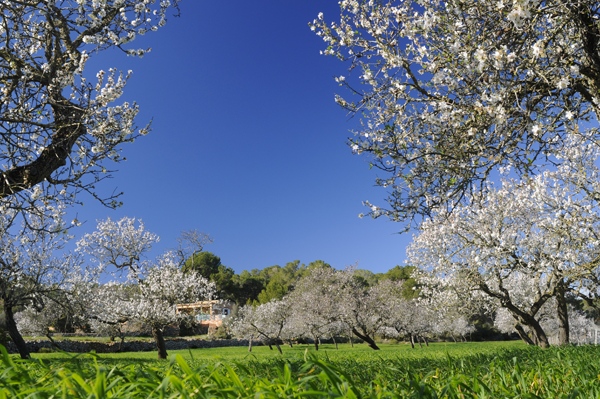 From mid-January until the end of February, the fluffy looking white almond blossoms remain on the trees, and can be spotted on almost every main road, piece of farmland or mountain in Ibiza. The area of Sant Ines is famous for its seemingly endless fields of almond blossoms, with an annual full moon almond blossom walk taking place amongst the thousands of trees in February each year. As striking as Sant Ines is, we think nothing beats the sheer natural beauty of San Carlos, where the almond blossoms are more integrated with nature, a joy to stroll through (and yes, of course photograph) away fro the more popular areas in the island’s west.